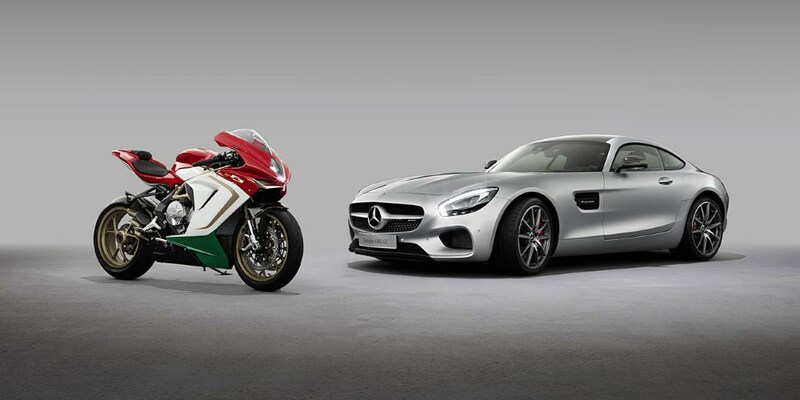 The sports-car and performance brand Mercedes-AMG of the Daimler AG and the motorcycle manufacturer MV Agusta have signed a cooperation agreement on a long-term partnership. Mercedes-AMG GmbH will acquire a 25% interest in MV Agusta Motor S.p.A.
Cooperation between the two high-end brands with long traditions and histories will include the area of marketing and sales. No details have been disclosed of the price to be paid for the stake in MV Agusta Motor. Mercedes-AMG will appoint one member of MV Agusta’s board of directors. The partnership is still subject to the approval of the relevant authorities, which is expected to be granted in late November.